THE OFFICIAL TABLE OF THE 2003, 2004, 2005 WORLD TABLE TENNIS CHAMPIONSHIPS. Approved by ITTF and USATT. Balancing design style originates from Chinese arch bridges. Arch structure of the table guarantees super strong stability. The height of the table can be adjusted. 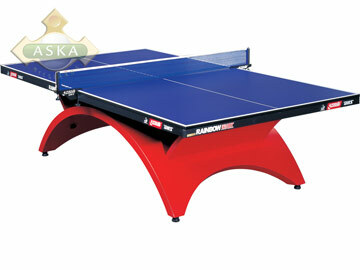 The color of the table top was specially designed to reduce the visual interference to players.